VIO 5.0 is here, and with it come a great many updates, including support and stability for the newest Openstack Queens release. VIO 5.0 allows customers to leverage Queens for their mission critical workloads and adds support for VMware’s SDDC stack (vSphere, vSAN and NSX). 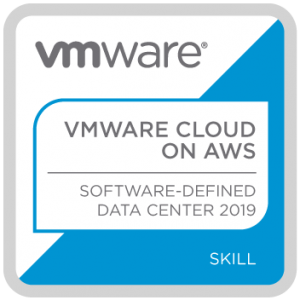 You can read all about the updates in the What’s New VMware Blog here, but for now, lets focus on upgrading VIO 4.1 to 5.0. Per my previous post, here is what I did to upgrade my 4.1 setup. First and foremost, ensure you have good backups before attempting any upgrade, including any Kubernetes clusters you may have. You will need to download the VIO 5.0 with Kubernetes Upgrade tar file per below. You could also perform a clean install of 5.0 along side your 4.1 environment if you have the resources, as you can then retain your original setup should you need to fail back. If you do this choose one of the two options beneath the upgrade, one with and one without Kubernetes. Once you have the tar.gz file downloaded, you will need to copy this to your VIO 4.1 machine. I’m a fan of Putty and PSCP, both of which you can find in the Useful Resources Page on our home page. To copy the tar file follow the following short video. I paused it during the copy to save some time, who wants to see that! Or alternatively the syntax is below. You may get asked to store the key in cache, you can choose yes or no here depending on your preference. Next enter your password and hit enter to begin the file copy. Now SSH onto VIO 4.1. I always use Putty (as an ex Wintel Server guy) but you can use any SSH client. As you can see, I’ve used root as this is my lab, but you’re more likely to use another account with sufficient privileges. If all goes well you should end up with an upgrade successful message, and if your’e REALLY bored, you can watch a 21 minute 22 second video (I forgot to pause this one, oooppss!) of me upgrading 4.1 to 5.0.